Calgarians speak out on climate change, poverty, main streets — and more. On On November 26, Calgarians took the mic at city hall to share their stories, knowledge and wisdom on everything from climate change to poverty to main streets. In doing so they illuminated what Calgary could do next. A full transcript of the podcast is below. JEREMY: You're listening to Sprawlcast. 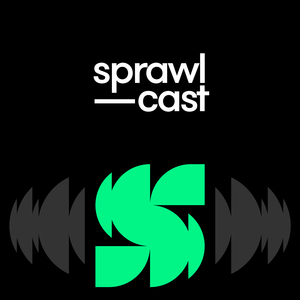 My name is Jeremy Klaszus and I'm the founder and editor of The Sprawl, and Sprawlcast is a collaboration between The Sprawl and CJSW 90.9 FM. We are podcasting/broadcasting from Calgary on Treaty 7 land. Sprawlcast is a show for curious Calgarians who want more than the daily news grind, and today we're going to hear a bit more about some of the challenges that are facing our city right now. MALE: This is not a conversation of urban versus suburban. I think you'll see in this group there's developers that work in both fabrics. I think it's just a matter of balanced growth and that we see that investment being balanced. FEMALE: I would like us to look at the budget in simple terms: needs, necessities, wants, things that are nice to have. ERIC: My name is Eric and I'm a college student here in Calgary. I'd like to present the council with a plan to make our economy more sustainable and stronger by applying much more renewable energy in our daily household usage. JEREMY: Those are a few of the Calgarians who spoke at City Hall on November 26, 2018. Now, this was a public hearing about the City's four-year budget, but this meeting also doubled as a snapshot of what's going on in our city right now and what people are experiencing. Often with budgets, it's numbers on a page. It's an issue. It's a line item. But the people who spoke at council on Monday really lifted it off the page. Poverty. Accessibility. Climate change. The arts. Main Streets. What it's like to run a small business. These are a few of the experiences and stories that were shared at council. I wanted to make a document of this because it really is a portrait… of the struggles and opportunities in Calgary at this point in time. And the video of this does go online on the City's website eventually, but I wanted to make a document of this because it really is a portrait. It's not a complete portrait, but a bit of one, of the struggles and opportunities in Calgary at this point in time. There's also another reason that I need to make this episode, and that's for city councillors who weren't there – didn't show up, left early. There were too many empty seats at council throughout the day. While I'm happy to have a few new podcast listeners, come on. How about show up for the people you're supposed to be serving? Especially when people are putting themselves out there and telling really personal and important stories, as we'll hear. All right, I'm going to get out of the way now and I'm going to let people speak, and I'm going to let them speak at some length. And just a bit of a programming note: I have made edits to some of these presentations for brevity, but I've been careful to preserve the meaning, and hopefully the intent, of what was being said. ANNIE MACINNIS: My name is Annie MacInnes. I am the Executive Director of the Kensington Business Revitalization Zone – we haven't changed our name yet – and have been so for the past 15 years. Most of my businesses are in pretty desperate straits right now, particularly my small owner-operator businesses. They are not thriving. They are barely surviving in this ongoing downturn. The profit margins for small owner-operated businesses is very small. I asked one of my eateries, a fairly successful eatery that's been around for a few years, and he said to me, "If I could have five more people eating lunch Monday to Sunday, I could sleep at night." That's how small the margins are. That's 35 extra people eating in his restaurant at night would make a big difference for him. Most of my businesses are in pretty desperate straits right now… They are not thriving. They are barely surviving in this ongoing downturn. So when we talk about numbers in this budget, we need to keep in mind that this is where success lies for the small businesses. For my member businesses, failure to cap tax increases, as you have the previous two years, at 5 percent, may represent the breaking point for many of them. The breaking point for small businesses represents more than just the loss of that owner's job and probably his savings. It also represents the loss of employment and wages for all of those Calgarians employed in those businesses. Burdening small businesses with this tax shift is not the way forward to a more robust economy. It is not the way forward to your goal of a more prosperous city. SELINA CLARY: Good morning, your worship, city council. I'm here to speak about affordable housing now… My name is Selina Clary. I've been a professional poet for four years. Fifty bucks at the CADA social. That was how it becomes official. Also in the last four years, I've been through a divorce, I got injured, I have been ill, and I've had to spend all my savings on medical bills. I experienced eight weeks of couch surfing in 2017. I was very glad it was the summer. If I didn't have my artist friends take me in, I don't know what I would have done. The shelters are not good enough, and I hope that most of us know that. If not, you might want to take a tour. They're pretty full and not a place I'd want to stay even one night, and I've found that it's really awful how people will take advantage of you when you're vulnerable. You're really lucky if you have not experienced that firsthand. Sorry, one moment. I do speak every month, but this is pretty personal stuff. I can't speak for everyone, so my communities – I'll name them – are sick kids who got older. I've had a lot of chronic illnesses that I don't like to talk about. Mothers with young children. Calgarians living under the lower-income cutoff. General weirdo. Definitely a queer. I'm an artist and I need to be able to afford to live here. The shelters are not good enough, and I hope that most of us know that. If not you might want to take a tour. I grew up a Calgary oil princess-to-be, and I was really shocked, actually. I was quite ignorant and I did not know that when you make under $20,000 and you need support from government agencies, you have to prove your illnesses. You have to prove your poverty. You have to prove that you have a child over and over and over again. If you're lucky enough to be able to walk around in these circles, you get to do that. You'll bring your notice of assessment, your medical notes, your bank statements, your child's birth certificate, and I'm very, very lucky that I happen to have all those documents on me. This approach really lacks dignity, and I want to improve this because I love Calgary. This is my hometown. This is my roots. I'm calling on all citizens to get involved right now. The work is very difficult and very frustrating, but it needs to be done. The work of the flood is not over. Writing the story of Calgary is not over. Until we are able to care for all of our most vulnerable people, the work is not over. NEW SPEAKER: I want to emphasize the emphasis on funds for social housing, affordable housing. I'm going to tell you a story very quickly. There's a young lady who panhandles on the streets in southwest Calgary. She panhandles to get enough money so she can go to a motel where the motel will allow her to sleep there with her dog. I have called 211. I've spoken to her. She cannot find a shelter that will take her in with a well-behaved, managed dog. She lives from hand to mouth in an area which I will not describe, but when you have that kind of situation on the streets in Calgary, what are we about? I see tons and tons of people going up and down the streets. Last week, outside the new library, somebody with a huge bag, a buggy, black bags. Wherever I go on main intersections, they're there. They're panhandling at Macleod Trail and Glenmore Drive. That element in our city has to be looked at and funded. JEREMY: All right. Changing gears somewhat, this is Kimberley Cooper and she's the Artistic Director of Decidedly Jazz Danceworks. She led council and everybody who was there in a bit of a song and dance routine, and she was one of several people there to speak in support of arts funding. KIMBERLEY COOPER: We are thrilled for the proposed increase and respect that it is a difficult time to invest in anything these days. We hope that you hold on to the belief that art is the key to a great city. MICHELLE THRUSH: Oki, your worship… My name is Goodfeathers Woman, also known as Michelle Thrush. I'm an actress in this city and in this country as well as a director, and I've been involved in the arts through theatre, film, and television for over 30 years. I was born here in Mohkínstsis, which is also known as Calgary, and I've watched, over the years, a huge amount of development happen—and what I would like to refer to as the artistic Indigenous revolution that's been going on now for maybe 10, 15 years in this country. And Calgary has been a wonderful supporter of that. I want to extend my absolute sincere respect to your worship for supporting all the things that we've been doing in this city. Having diversity in our arts scene is allowing us to be able to tell our stories. So a few years back, I was approached by the late, wonderful Michael Green, and through Michael Green, myself, and a few other committee members, we put together a show called "Making Treaty 7." Prior to that show, which I co-direct with Blake Brooker, but prior to "Making Treaty 7" there was only a handful of Indigenous presence in the arts in this city. And it's something that I cannot stress more: having diversity in our arts scene is allowing us to be able to tell our stories. Before "Making Treaty 7," there was no land acknowledgment. The council would not have been aware of how to say hello in the various nations that were residing here for thousands of years, and this is what I look at as including so many of our voices in this city and in the culture of the arts. It's so important. I grew up here, and when I was young I did not get the chance to see my own people as a part of the scene. Today I come back to this place all the time … Well, I live here, but when I come back I cannot say how proud I am to watch the diverse people that are doing various things in this city, including Indigenous youth. And when we do theatre – I just directed a show at Theatre Calgary – it's the first time in the history of Calgary that we've had an Indigenous cast and crew take over the whole A-house, and that is absolute beautiful progress. I cannot say how proud I am to watch the diverse people that are doing various things in this city, including Indigenous youth. So I cannot stress how important it is for our young people, for Indigenous youth in the Treaty 7 territory, when they are able to come see a show and see Indigenous presence and diverse presence on the stage telling their stories. I'd also like to say that it's only been in my generation that we have actually been able to leave reservations without Indian agents, that we've been able to attend universities, we've been able to be a part of common society, and in that time we now have doctors, lawyers, judges, and award-winning actresses that are part of that denominator. So in saying all of that, I'm so proud to be a part of this city. I am a Gemini Award-winning actress. I'm also an AMPIA Award-winning actress as best lead Alberta actress for four years. And there's so many things that we can do together because all of us here have stories in our own histories, and the more that we share those stories with each other is what's breaking down the walls between us. So I just want to add that voice to this whole mix today, and thank you for listening. JEREMY: We're going to listen now to three speakers who represent Variety - the Children's Charity of Alberta. The first speaker is Jana Hands, the second is Larry Horeczy, and the third is Jon Bateman. JANA HANDS: One of our main initiatives over the past three years is supporting and/or building inclusive playgrounds in our province. We chose this initiative as playgrounds are the last public space that are built without consideration to the needs of people living with disabilities. Play does not discriminate, but playgrounds do. And it is more often the environment, not the diagnosis of disability, that determines participation outcomes within a playground. Play does not discriminate, but playgrounds do. Currently, there is no legislation or policy in Alberta that says playgrounds need to be inclusive, and as such, less than 25 percent of playgrounds in our province are built to include children and community members who are living with a wide range of disabilities. LARRY HORECZY: So using data from the City of Calgary reports themselves, plus talking to Parks infrastructure staff and Parks capital staff, currently in Calgary we know that less than 3 percent of our playgrounds are fully or even partially inclusive. And, of these, several have inclusive pieces which have been placed on inaccessible surfacing, failing to create accessibility at all or even any type of proper inclusion. At one inclusive playground per 16,000 children in Calgary, this is half the Canadian average, and it is four times less than the Alberta average. Developers, the city itself and community groups are not required to have any inclusive design or accessibility in their playgrounds. In two recent documents produced by the City of Calgary, the "Community Playground Workbook" and "Inclusive Play Spaces Implementation Plan," staff have identified a need to increase inclusion in playground design. Yet, in Calgary, developers, the City itself, and community groups are not required to have any inclusive design or accessibility in their playgrounds or even in the green spaces they develop. JON BATEMAN: As a person living with a lifelong disability, I remember what it was like to visit a playground in the early '80s. Two memories stick out the most. Obviously, one was that I couldn't play with the other kids, and I could sense that none of us really understood why. Kids don't think about how a playground is built. It's just a place to play. But for me, it was my first taste of social and physical exclusion. All I could do was watch the kids play. Some of them would stare at me. Fewer still would be bold enough to ask me about my disability and why I couldn't play with them. That's the second memory. It wasn't easy to explain something I didn't fully understand to other kids. It forced me to grow up quickly and realize that I deal with things that others don't have to think about at all. It was my first taste of social and physical exclusion. All I could do was watch the kids play. This is a glimpse into what it's like on any given day for people with disabilities. It's tiring to constantly adapt and make a game plan for every possible scenario in a world that is often built to exclude you. The places where you can relax, play, and naturally be who you are few and far between, but an inclusive playground can be one of those places. JEREMY: One of the things that came up a bunch during this meeting is how the City is balancing new growth on the outskirts with investments in the inner city, in existing neighbourhoods. Let's listen in. DAVE WHITE: My name is Dave White. I'm a principal with CivicWorks, but I'm here today wearing a different hat than you've typically seen from me, helping to represent Advocates Into Main Streets, or AIMS. This is an alliance of over 50 organizations comprised of community associations, business improvement areas and active developer area builders, planning and design professionals. Our grassroots group really came together quite quickly in response to the City's proposed four-year budget, and what we saw is a lack of a commitment to reinvest in Calgary's established areas communities through the city's Main Streets program. And I can tell you it's not always the case where developers and communities agree, but on this matter we do have a unified voice, so we are seeking for council to keep the promise of Main Streets, keep building Main Streets, and support the important initiative as a long-term commitment to Calgary's future. It’s not always the case where developers and communities agree, but on this matter we do have a unified voice. Of the 24 main streets in the program, many of which are now in various stages of planning and phases of implementation, only three, or about 12 percent, are currently funded. So this is after years of planning and consultations. There's been significant change in terms of land-use and policy amendments, and there's been a lot of activity that's occurred on these main streets, and in looking at this, we do feel we're falling short of the promise of the program. At this current rate of investment, it would literally take a generation to fulfill the mandate of the program, and we have some big promises here with no clearly defined way of getting there. And so we're really asking for a long-term funding plan. JEREMY: This is Alkarim Devani, and he's an inner-city developer. His company is called RNDSQR. ALKARIM DEVANI: I think it's important that we remember that culture happens on these main streets. These are the cultural nodes that really drive communities, and so when you think about where do we invest our dollars, we're seeing tangible investments that are consistently brought to the main streets. I would argue that on every single land-use application that you guys see, there's a cultural investment, a cultural fabric there that's driven by our small businesses. It is critical that we have administration and council support to really drive that cultural investment. This is not a conversation of urban versus suburban. I think as I sit here today, I'm honoured to be a part of this group, because we sit on opposite sides of the table oftentimes enough. The one thing that we're asking for is certainty. Both communities and industry are asking for certainty, so certainty not only in that we are committed to the MDP (Municipal Development Plan) targets, we're committed to developing these established neighbourhoods, but not only above grade, not only in the urban fabric, but also below grade. Building in the established neighbourhood comes with unique challenges that we oftentimes don't see in the developed areas, and I think it's important that administration and council works with us to actually achieve those. This is not a conversation of urban versus suburban. I think you'll see in this group there's developers that work in both fabrics. I think it's just a matter of balanced growth and that we see that investment being balanced. JEREMY: The next speaker we'll listen in on is Kim Warnke. KIM WARNKE: I'm not going to make a fancy presentation today, although I did consider it. The presentations you will see here today matter, though. They matter very much, the ones that you're listening to. They'll tell you what matters to citizens from all walks of life, and they shouldn't be ignored. I want you to keep in mind, though, that the residents of Calgary who are able to attend these meetings are a privileged few. There are many views that you will not hear because there are people who cannot physically or financially be here during the middle of the day. I lucked out today, like I said. Normally, not an option for me. I didn't actually come here to speak on Main Streets. I just stole their awesome button. I wanted to talk to you about was a concept my Depression-era grandma left me: When you have a limited budget, touch it once. So I ask you to look at the policies that have been built over the last 10 years with thousands and thousands of hours of citizen engagement and feedback from residents of the city, and then look at them and allocate the budget accordingly. If a budget item will decrease the need for further inputs, fund that. Use our money to touch it once, and then move on to solving other problems. Thanks very much. JEREMY: We're going to go now to probably the biggest problem of all, and there was a lot of talk about this at this meeting. It's a problem that every government and every citizen should be dealing with if we're in any way attached to the reality of what's happening in the world right now. I'm talking about climate change. We're going to listen now to Natalie Robertson, and then our last speaker will be Steve Bentley – or "Uncle Steve," as he calls himself. NATALIE ROBERTSON: My name is Natalie, and I'm an urban resilience consultant here in Calgary, and it is in this context that I'd like to offer a perspective on the budget that is related to climate change. The focus of my work centres primarily on adaptation to extreme weather and the relationship between urban form and a city's capacity to function during and after disruptions. That's a big part of what resilience is—functionality under stress. City council and admin have both recognized the importance of addressing climate change adaptation; however, this budget is missing a crucial component. On page 51 of the proposed budget, there is a diagram from the 100 Resilient Cities framework adopted by the City, and within the Health & Wellbeing section is a category for basic needs – things like food, water, and shelter. If there is a disruption that impacts driving, then we need to ensure that people can still get around — and we do that by accommodating other modes. It's from the perspective of basic needs that I approach much of my work. The ability to meet your basic needs during a disruption provides a convenient metric to assess resilience. So even if there's a massive windstorm or flood, if residents can meet their needs then the city is technically resilient. So in this way, it's through meeting basic needs that Calgarians can recognize what resilience looks and feels like. In the budget, resilience is used for all sorts of things. It's used to frame other city operations, like emergency response and management. It's mentioned a few times to support initiatives related to economic diversification, economic growth potential, as well as things like social connectivity and sustainability programs. These are all great. But what is missing from the resilience conversation – and it was touched upon just earlier – is the transportation part, but I am referring specifically to the adaptation side of it, not the mitigation of greenhouse gas emissions and air quality. If there is a disruption that impacts driving, then we need to ensure that people can still get around, and we do that by accommodating other modes. Why? Well, because even if I can't drive because of a spike in gas prices, a huge snowstorm, flooding at the end of my street because of an overwhelmed storm sewer or maybe even a fallen tree or a massive pothole, I still need to meet my needs – whether it's getting groceries or getting to work so I can pay my bills, or getting to a neighbourhood cooling centre during a heat wave. Pedestrian and bike networks and an extensive and reliable transit system are a crucial part of urban resilience. Redundancy of transportation options is vital. Yes, Calgary has 600 km of beautiful pathways. They mostly do not go anywhere near things like food outlets or transit hubs, and they are not lit at night. The network needs expanding, and it needs completing and integrating into neighbourhood fabric. Pedestrian and bike networks and an extensive and reliable transit system are a crucial part of urban resilience in a very real way if you want to support functionality under stress. We do not ever construct a building with no fire escape. We never say, "Hey, no one uses the stairs. Why should we build any?" We never say, "Why should elevator riders pay for stairs?" We never design a building with gaps between flights and steps. Instead, we put in the whole system, from basement to roof. To do otherwise would be unthinkable and ridiculous, but somehow it's okay to do for parts of our transportation network. This is not pedestrian versus bike versus car versus bus or even versus Mercedes. It is not "us" and "them." It is "we." We will all, at some point, not be able to drive – because of weather; because of economics; because of injury, age, mobility, medication, or even some combination of these. 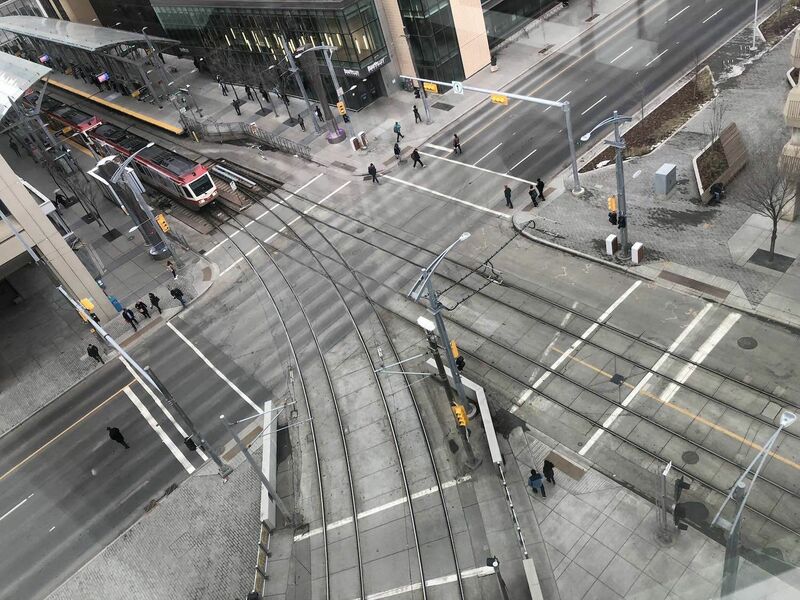 So if we care about making Calgary a more resilient city, then we need to fund a transportation system that accommodates a variety of modes – not as an afterthought, but simply as part of a resilient municipal transportation network. STEVE BENTLEY: Good afternoon, Mayor Nenshi and members of council. My name is Steve Bentley. I was born in Calgary, but I kind of moved all over Canada until moving back some time ago. I've got an older brother in Edmonton. I have aging parents living in the south of Calgary as well as a younger brother who started having children. And that more than anything else made me plant roots here in Calgary to stay, because in spite of my many other faults I'm an excellent Uncle Steve. In fact, there's none better – you can just ask them. Because of all that, I have a stake in the success of this province and specifically this town, and it is my role as Uncle Steve to try to move that ball. Climate change has become the greatest challenge in human history. Scientists told us just a few weeks ago that we have until 2030 to hold warming levels to 1.5 degrees of warming. Every climate disaster so far incurred that we've experienced – every record-breaking fire, all the smoke, the hurricanes, the floods, etcetera – occurred with just 1 degree of warming. If we move decisively and we move now, the scientists tell us we can hold the line at 1.5 degrees of warming instead of face-first into 2, 3, 4 degrees and beyond. What’s optimal is a Calgary that shows leadership to the whole world as an oil and gas town that smoothly transitions into an energy-of-the-future town. We'd be just in time to hand over a very difficult – but still manageable – problem over to our kids; our nieces, nephews, and grandchildren. Or, we can continue to just shrug and have no good answer. 2030: Twelve short years away. Think about it. These are the people who are theoretically supposed to take care of us when we get older, and we're going to hand them over to an ashtray in 2030? Not on my watch. It gives me great pleasure to tell you that the best news I have for us today came to us by a Calgary city council who, in its wisdom, commissioned a report from Leeds University on a low-carbon transition for Calgary. I don't know if you heard it today already, but it bears repeating. "A low carbon future," it says, "for Calgary can also be a prosperous future. This analysis shows that there is a strong economic case for Calgary to pursue an ambitious and cost-effective low carbon development path that is consistent with its 2050 target for decarbonisation until the early 2030s … This would require total investments of over $12 billion and the analysis shows that in aggregate these investments would pay for themselves within three years before generating net returns of $1.7 billion per year across the city." A low carbon future for Calgary can also be a prosperous future. Does anybody not like money, jobs, and better health for their city? And it just happens to help save the world? It might just fill up our downtown core. It might just answer that whole "what's Calgary's vision" query we all started pondering post Olympic vote. When I think about looking at my niece and nephew in the eyes when 2030 arrives, I want to tell them not only that Uncle Steve did the best he could – I want to tell them I moved the ball. In that respect, I'm not going to stand here today and tell you what our minimum viable is for 2030. I'm going to tell you what's optimal. What's optimal is a Calgary that shows leadership to the whole world as an oil and gas town that smoothly transitions into an energy-of-the-future town: one that leaves nobody and no industry behind. We have to do this. 2030 is coming fast, and the whole game is won or lost by our generation and the one that follows us. I urge you today, on behalf of my niece and my nephew, to make strong climate action a stable of your 2018-2022 budget and beyond, and for a robust climate plan that is funded, implemented, and executed. In short, I urge you to apply an "Uncle Steve lens" to all that you do. JEREMY: All right. Well, Uncle Steve for Mayor. Am I right? JEREMY: You've been listening to Sprawlcast. Our theme music is by Dan D'Agostino and Kenny Murdoch, and our CTrain narrator is Holly McConnell. And I want to add a big group of people to the credits today: anybody who spoke at city council on November 26. Hey, kudos to you, because you know what? It takes guts to get up there. But as one of the speakers mentioned, not everybody can go down there. It doesn't work to get off work in the middle of the day and go to City Hall. So maybe you sent in comments online or emailed your councillor. Kudos to you. And hey, if you're just listening to this show to become more informed about what's happening in your city, hats off to you as well. I'm just giving credits to everybody today, I guess. Anyways, thanks for listening, and see you soon. Crowdfunded. Ad-free. Made in Calgary.